For several years now, I and the NC Plant Conservation Program have been working with the Eno River Association to restore their oldest Nature Preserve, the Blue Indigo Slopes. The site is important, in part, due to the rare plants present as well as frontage on the Eno River . In addition, we view it as an important stepping stone in a landscape-level pollinator pathway in northern Durham (perhaps I will explain what that is in a future post). 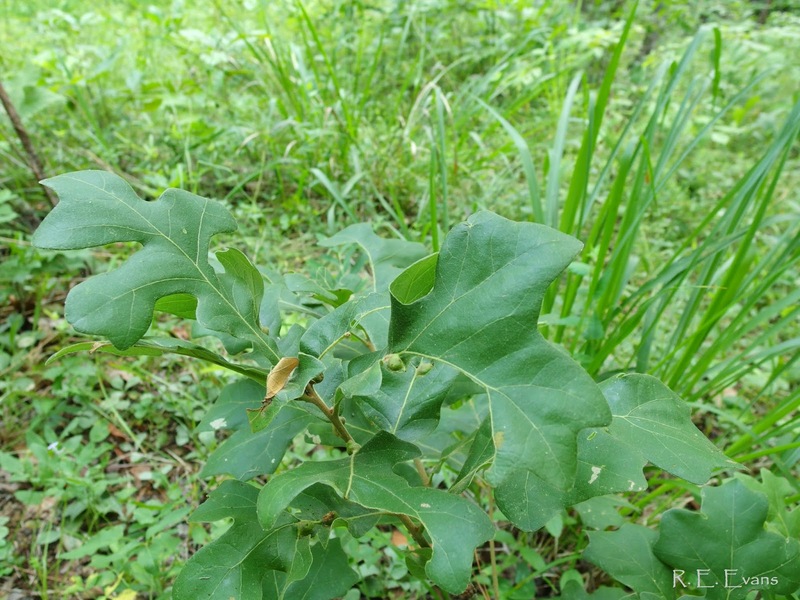 Post Oak (Quercus stellata) and Blackjack Oak (Quercus marilandica) sprouts and seedlings were apparent around the open edges of the site (see below). I think of these two oaks as likely historically important in many Piedmont open woodlands and savannas; both tolerate fire well. 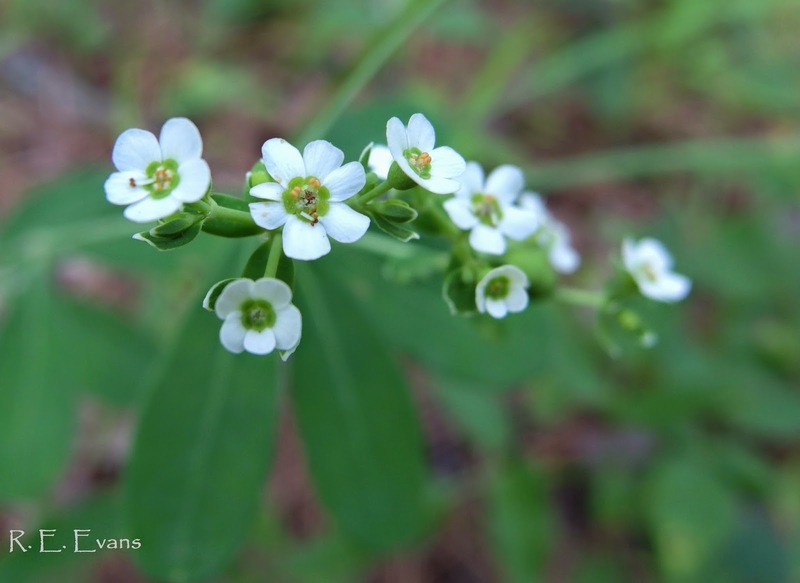 However, Blackjack is especially intolerant of shade and may be easily overwhelmed by faster growing, shade tolerant species - a major reason it is rarely seen today in the region. Like many other rare plant sites in the Piedmont, this site was historically more open & prairie-like. A common attribute of these sites is the tendency to become heavily overgrown by dense trees and shrubs, presumably due to the absence of fire or grazing. 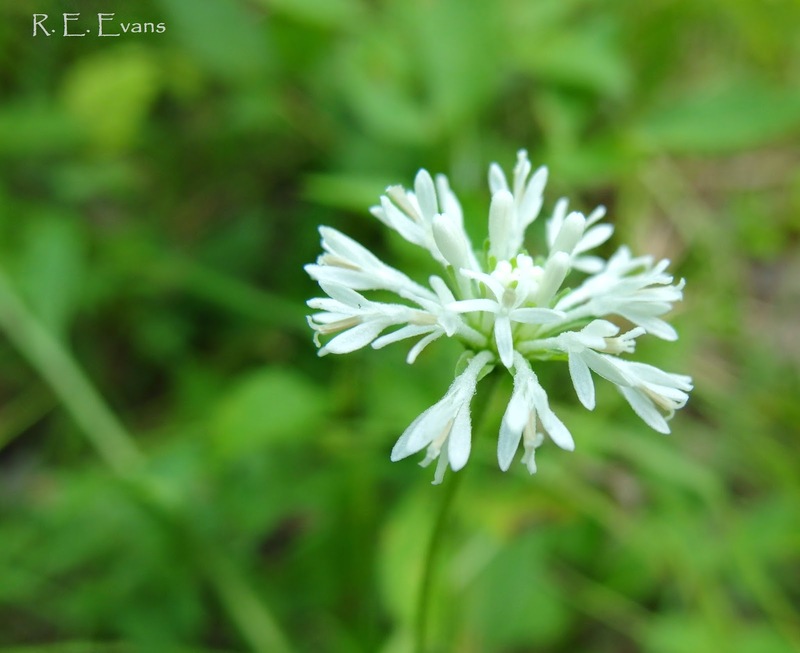 One result of this change is the decline of many understory species that are now of conservation concern and require special efforts to restore their populations. We have begun an ecological restoration program supported by the Eno River Association Board, staff, and volunteers. 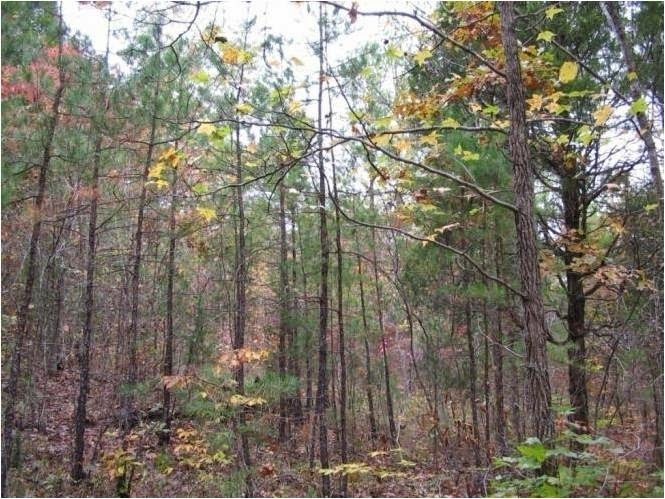 Part of the restoration has involved slowly removing trees (mostly Loblolly Pine) and other invading brush from the site. As part of the broader effort we also conducted two consecutive spring-time prescribed burns on the Preserve. images complements of Kurt Schlimme of the Eno River Association. The site's namesake, Wild Blue Indigo (Baptisia australis var. aberrans), suffered for years under the growing canopy. A decent number of individuals are still present but most are relatively small and still show diminished flowering. Consequently, very few of the individuals actually produce fruit. The individual shown below has only a single pod this season and appears to be affected by powdery mildew or some other pathogen. Although I don't know the identity of the white substance illustrated below we did document powdery mildew on these plants several years and a pathologist suggested heavy shade and associated moist conditions were contributing factors. 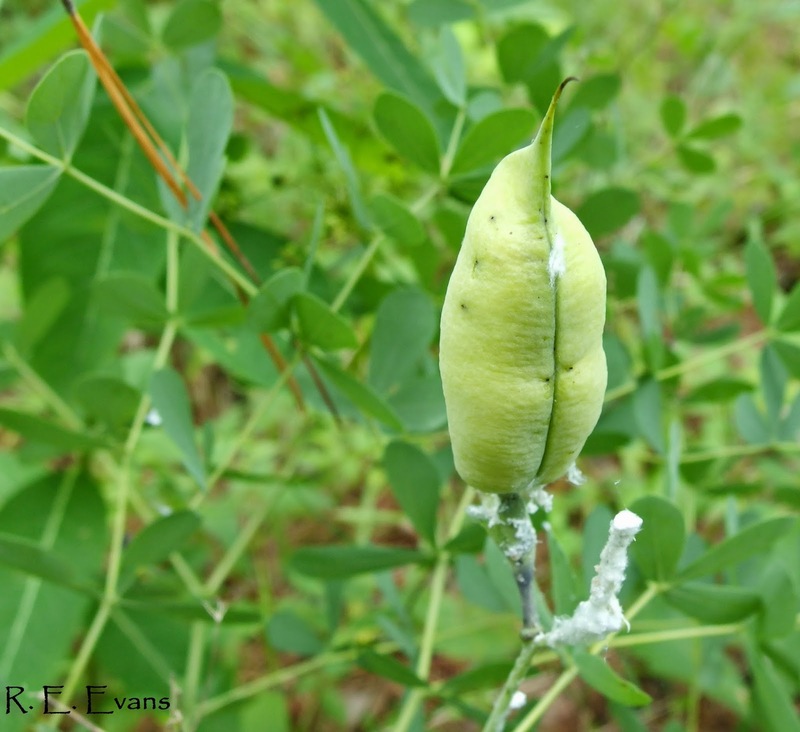 We have purposely "gone slow" on the canopy re-opening, but the continued relatively poor vigor and possible mildew problems on the Wild Blue Indigo suggest we need to renew and expand our efforts. 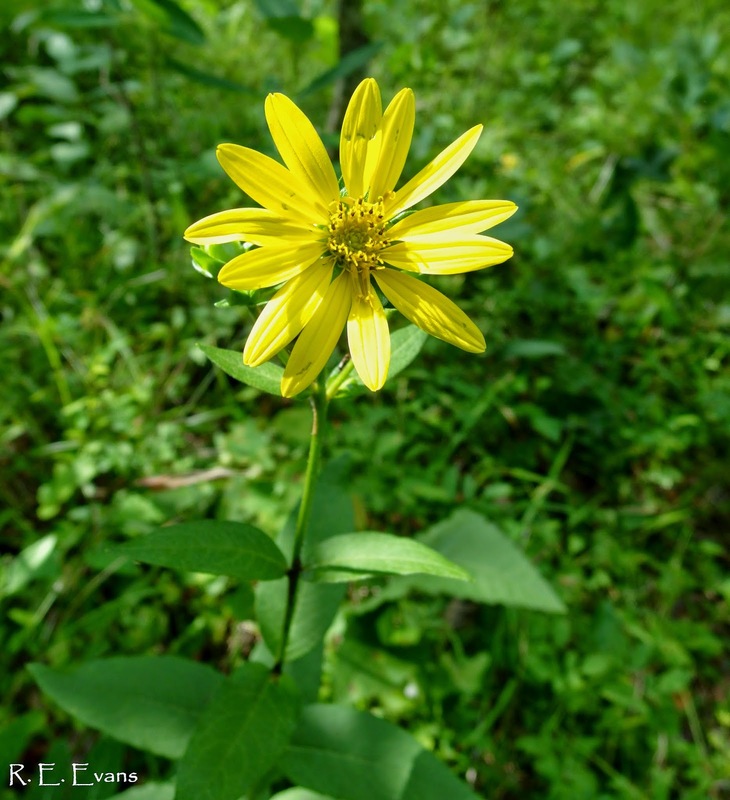 The site supports a scattered population of Starry Rosinweed (Silphium astericus) (left below) just coming into flower, as well as numerous Glade Wild Quinine (Parthenium auriculatum) (right below). 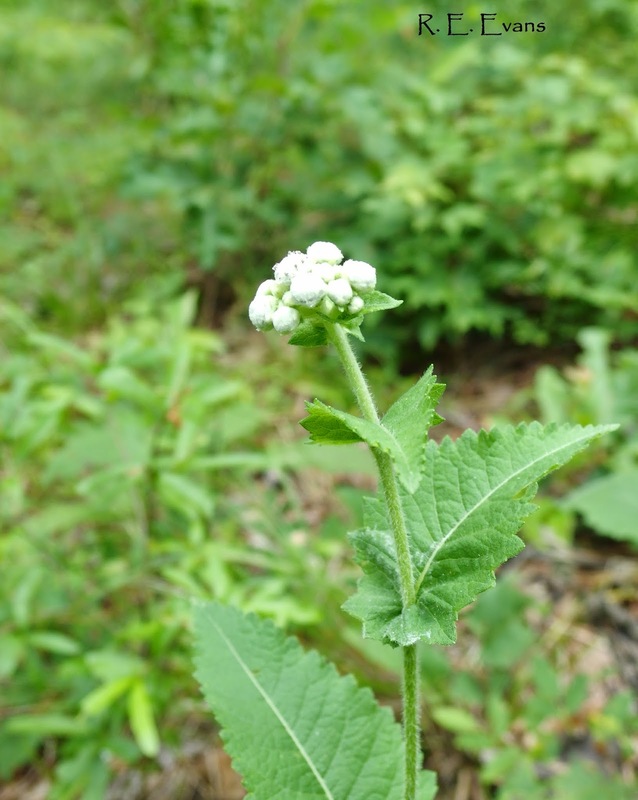 As with the Blue Indigo, relatively few of the Glade Wild Quinine appear likely to flower this year. An open prairie-like portion of the Eno River Association's Indigo Slopes Preserve (above). 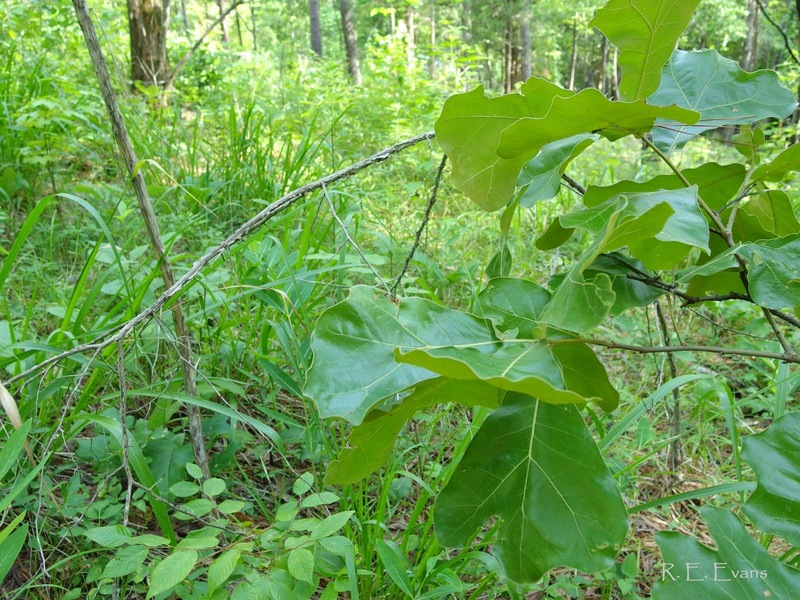 A Post Oak sapling can be seen near the back of the opening near the large pines, a Prairie Wild Blue Indigo individual occurs on the right, and scattered rosettes of Glade Wild Quinine (Parthenium auriculatum) can be seen throughout. 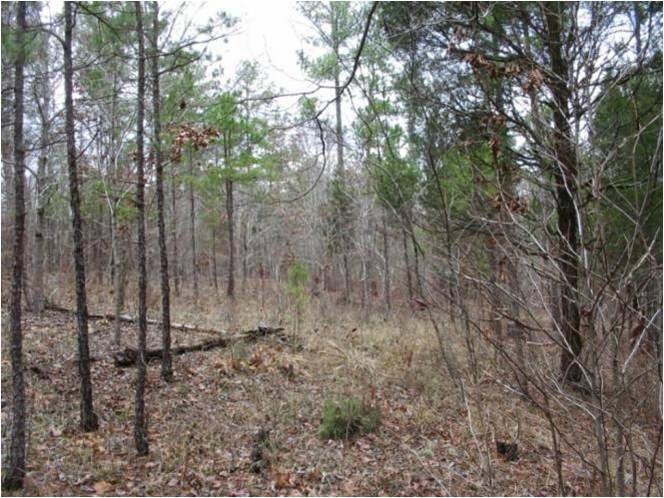 The extent of the opening is less than 1/4 acre and surrounded by dense woods on at least 3 sides. We hope to significantly expand this opening, both up and downslope, in the near future.